The lifespan, efficiency, and cost-effectiveness of any HVAC system hinges on regular and effective maintenance. Without the deployment of a regular maintenance regimen, even the best, most expensive system in the world won’t operate like it should. This issue is relevant to everyone involved in the life of the building. Knowing why to service. Important factors include the improvement of indoor air quality (IAQ) and the achievement of maximum energy efficiency. On the IAQ side, microbes thrive in moist and dusty environments like dirty ducts. On the energy efficiency side, evaporators and cooling coils may cause a building to use up to 30 percent more energy than necessary (and it’s important to remember that a building’s heating and cooling system accounts for 60 to 70 percent of its total energy use). Cleaning the entire HVAC system – and the key word is entire – addresses both of these issues. Knowing when to service. Regular monitoring of energy consumption levels, combined with visual inspection of various system components, will tell you when your system needs servicing. Lots of dust and debris in the ducts and/or on the coils? Rising monthly heating and cooling costs? These are just two signs to keep track of. 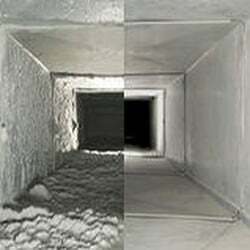 There are also useful rules of thumb, like those provided by the National Air Duct Cleaning Association (NADCA) and the American Society of Heating, Refrigerating, and Air-Conditioning Engineers (ASHRAE), which give general advice about how often various system components and types of systems should be serviced. Knowing how to service. This includes both mechanical techniques, such as vacuuming and brushing, and chemical techniques involving sanitizers and biocides. Biocides are particularly important in the prevention of Legionella spp. Fortunately, the Web is full of useful information about why, when, and how to service your system. The following items are particularly useful for facilities managers or other decision makers, and also for cleaning crew members who want a high-level view of what the maintenance process entails from the planning process all the way through to execution and verification. 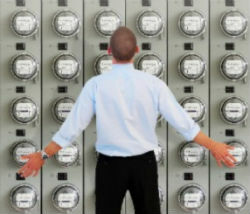 “Cleaning the Systems” by Pete Haugen (Today’s Facility Manager, June 2008). 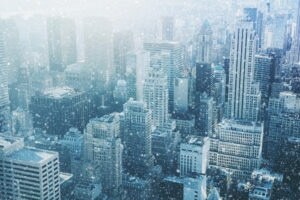 This is an excellent and detailed article that starts by explaining the reason for cleaning HVAC systems, namely, to ensure the system’s most efficient operation by removing “the dirt, debris, and other contaminants that accumulate there.” It states what’s most important to clean for purposes of increasing energy efficiency (the evaporator and cooling coils) and explains when to clean, as determined by regular inspections: “when enough dirt, debris, and other particulates have settled into that system to pose the threat of microbial contamination and/or when a system’s energy consumption has increased, decreasing energy efficiency.” It also offers advice about how to set a cleaning schedule, pick a contractor, and decide whether cleaning by in-house staff might be the best option. 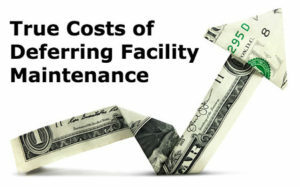 The scope of this article makes it good reading for everybody from engineers to facilities managers to maintenance crews. 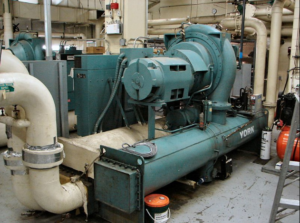 ACR 2006: Assessment, Cleaning, and Restoration of HVAC Systems (NADCA, 2006). Published by the National Air Duct Cleaners Association, this is the fourth edition of a document that has become the Bible for all things relating to HVAC system cleaning. Its 14 sections include details standards for when, why, and how to clean all aspects of HVAC systems in a safe and environmentally responsible manner. What criteria do cleaning equipment and tools have to meet? How do you plan and execute a cleaning project? How do you construct service openings into HVAC systems? ACR 2006 addresses all of this and more. Note that you can either purchase the book for $25.00 or download a PDF version for free from the provided link.